This is White House Ruin at Canyon de Chelly National Monument, AZ. This is a 2 shot horizontal panorama with a 3rd shot blended in where I illuminated the ruins. 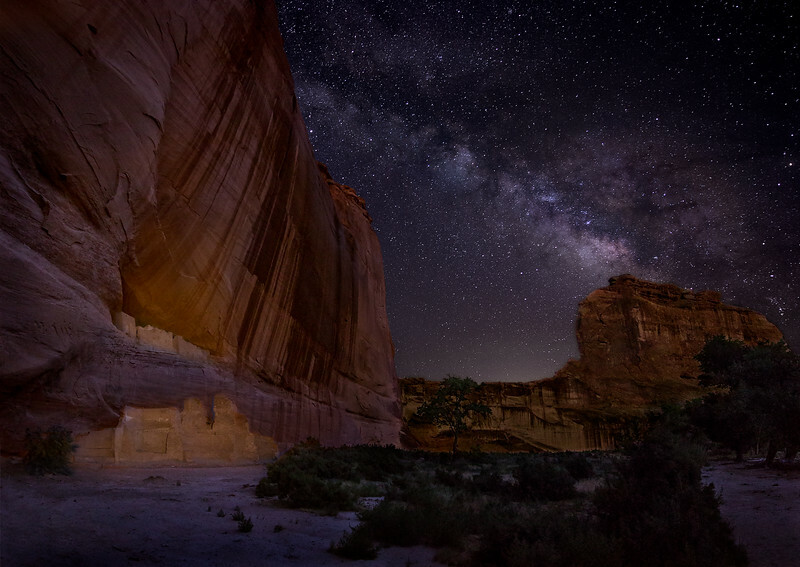 The shot was produced around midnight when the Milky Way had finally risen over the mesa to the right in the image. There is a rather tall fence around the ruin that I used to support my tripod. I motored into the Canyon with the archeologist and park ranger that accompanied me. People still live in the Canyon, the juxtaposition of ancient and contemporary settlements is interesting.